Todd brings many years of experience and dedication to helping young people to Trails Momentum. 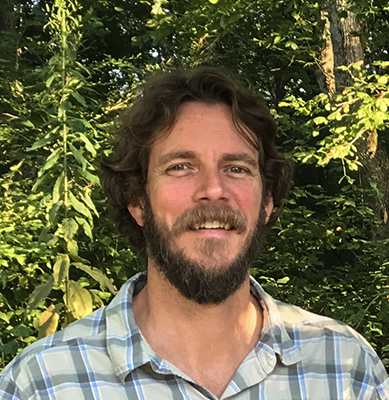 Todd began his career in wilderness therapy in 2003, working for many years with at-risk adolescents at a program in the southeast. He then went on to to join a team of professionals who opened a wilderness/adventure program for young adults, serving in a leadership role as Field Director there for six years. Todd then helped to develop a horticultural/outdoor program for young adults in Hawaii, serving five years as the Program Director. Todd has gained a solid reputation for his ability to build strong rapport with young adults and help them to not only envision but also realize real change. Todd is committed to supporting a safe, meaningful and effective program for young adults. Todd now uses his years of dedication and experience to provide leadership to the staff at Trails Momentum to ensure that the program provides the most impactful therapeutic programming available. In his free time Todd enjoys camping, hiking, organic gardening, and reading. But most of all he cherishes spending time with his wife and sons in the mountains of Western North Carolina. 555 Sky Valley Camp Rd. A therapeutic outdoor-adventure program for young adults seeking support in transitioning to independence.